The beach itself is some of the most naturally white, sugary and most sumptuous that can be found anywhere in the Caribbean region. The sand itself is coral-sand in composition and the beach and the subsequent lands around it (The greater Seven Mile Beach corridor) make up a large portion of the western part of the island. This area is home to the majority of the island’s luxury resorts and real estate. It is also a large commercial center of the island – featuring the bulk of the restaurants, shops, retailers and nightlife found in the tiny island nation. Seven Mile Beach recently won the title of “The Caribbean’s Best Beach” by Caribbean Travel and Life Magazine. From the water to the high-water/high-tide line, Seven Mile Beach is public and free to traverse by all. 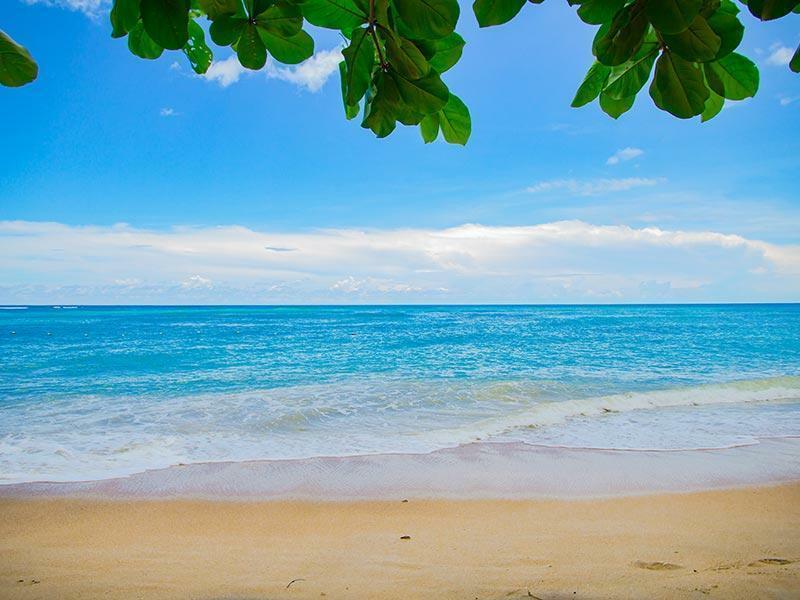 Sunbathers and vacationers are welcomed, if not encouraged, to stroll the entirety of the beach and soak in the scenic vistas and expansive sea views. Bars and restaurants dot the beach and a cool beverage can be found at nearly every point along the way. The lands from the high water mark on up are traditionally owned by luxury homes and condominiums and are demarcated as such. Seven Mile Beach itself has a long history. The island, and the beach, were originally the home of theCarib tribe. The famed explorer Christopher Columbus brought his first groupto Cayman in 1503. Soon after this, the dreadful institution of slavery and the the emergence of Europe-born diseases fall but depleted the native populations.What survives besides the beach, is the name “Cayman”, which derives itself from the Caribtribal word meaing “crocodile.” After this time period the islands were overseen by the nation of Jamaica until 1962 when that nation earned independence from Great Britain. Today the Cayman Islands is a protectorate of the United Kingdom and a governor administers the nation today. The governor is also provided a lovely residence right on 7 Mile Beach next to the Westin Resort. From the 1970s to present day the beach has seen lots of change. In the past there were only a few options for vacationers and the spots to be were either the old Hyatt or the Holiday Inn. Only a few homes dotted the shoreline. Today there is a multitude of development and dozens of properties to choose from. The majority of them being luxury resorts or condominiums.These properties make up the bulk of the islands most popular tourism accommodations and contribute a huge chunk to the tourist dollars that the nation brings in each year. Typically the busiest area is the center of the beach, with the level of luxury and amenities diminishing as one fans out to the east or west. The beach itself is bookended by the capital of the nation, George Town to the east; and the district of West Bay to the immediate West. Portions of Seven Mile Beach would technically fall under the jurisdiction of West Bay. Seven Mile Beach itself continues to evolve and change, as Caribbean beaches are very dynamic environs. Erosion, storms and impending human intervention and development constantly reshape the area. Nevertheless, Seven Mile Beachis known the world over as one of the most beautiful and most enticing places to spend a Caribbean vacation. The beach features coral reefs just offshore and has excellent snorkeling and diving right from land. There are tons of fish to be observed and even the occasional eagle ray swimming along in the shallows with a crew of camera-gripping tourists in tow. There are plentiful seabirds, pelicans, parrots and the every present green iguana and chickens to behold. Every year sea turtles lay their eggs in the sand and the babies hatch and make their way to the sea. “ChingChings”, or the Greater Antillean Grackle as they are more commonly known, can be heard chirping along with the crowing roosters at dawn. One cannot possibly estimate the true value of Seven Mile Beach. Without it, simply put, the nation would not be what it is today. The beach and the greater Seven Mile corridor are experiencing a boom of development and infrastructure improvement year by year. Millions are being poured into new roads, businesses and large-scale luxury developments. In summation, Seven Mile Beach is the true heart and epicenter of Grand Cayman and will continue to be so for the foreseeable future.